In recent weeks, with the riots sparked by the anti-Islam video “The Innocence of Muslims”, proponents of the discourse of a “Clash of Civilizations”, who have been warning against the "Jihad" that the “Muslim World” is launching against “Western Civilisation”, saw themselves once again confirmed. The conflict between Palestinians and Israelis is often seen as one of the major battlefields of this clash, a notion that unequivocally categorises Israel as a Western, and Palestine as a Muslim entity. Obviously such a conceptualisation hardly acknowledges the diverse reality on the ground. Palestinian society is comprised of a multitude of different religious and ethnic groups, and also Israeli society, which is mainly made up of immigrants, is hardly homogeneously Western at all. Consequently, the conflict between the two groups, is by far not the only one going on in the “Holy Land”. 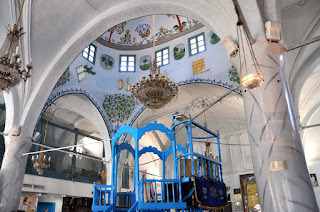 Within Israeli society one of the most severe strifes has been the one between the Ashkenazim, meaning Jews stemming from Central and Eastern Europe1, and what became known as the Mizrahim, literally “Eastern” Jews, i.e. those coming from the Middle East, North Africa and the Caucasus2. Compared to their European counterparts, the Jewish communities of the Middle East and North Africa suffered relatively less from anti-Semitic pogroms, and the Zionist ideology, essentially a European creation, did never establish itself as firmly among those communities. 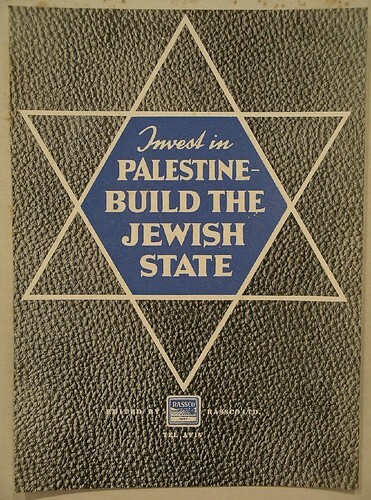 While the existence of anti-Jewish sentiments, that also sometimes took the form of physical assaults and pogroms, prior to the beginning of the 20th century cannot be denied, it is commonly argued that modern anti-Semitism only started spreading in the region when European propaganda was imported and used against the Zionist efforts in Mandate Palestine. Very soon after 1948, the Jews of Middle Eastern and North African origin made up more than half of the newly formed Israeli society. Notwithstanding their large numbers, however, the absorption of Mizrahi Jews into larger Israeli society turned out to be very problematic, the consequences of which are highly relevant up until today. 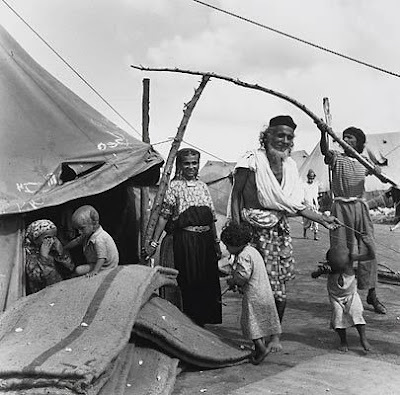 Most of the newly arrived immigrants were placed in tent cities or development towns at the peripheries of Israel. Many had to leave their property behind and therefore experienced a severe decrease of their socio-economic status, a notion which was further aggravated by the cultural and political differences with the dominant Ashkenazi community. Due to the generally depreciative attitude hold by the Ashkenzi elite towards the Mizrahim, many felt pressured to abandon their culture and traditions, including their native languages. Although intermarriages between Ashkenzi and Mizrahi Jews is very common nowadays and the latter group's social integration is constantly improving, the disparities between the two groups still persist and the Mizrahim clearly continue to occupy the lower ranks of Israeli Jewish society. According to a recent study conducted by the Israeli Central Bureau of Statistics, Ashkenzi Jews are twice more likely to pursue academic education than Mizrahi Jews, and their average income is 36 per cent higher than that of the Mizrahim. Despite their big numbers, their bad living conditions and the perceived discrimination towards them, the Mizrahim did not constitute a political force up until the 1980s. 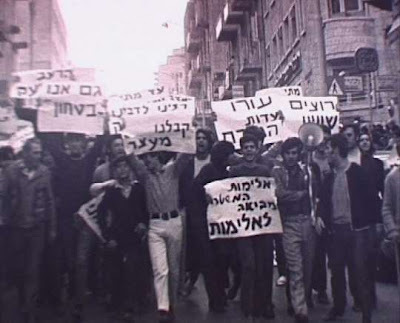 With the exception of a few riots, such as the 1959 Wadi Salib uprising, and relatively short lived political movements, such as the Israeli Black Panthers, the Mizrahim did not succeed in forming any large scale initiative, that would constitute a counterweight to the Ashkenazi establishment. 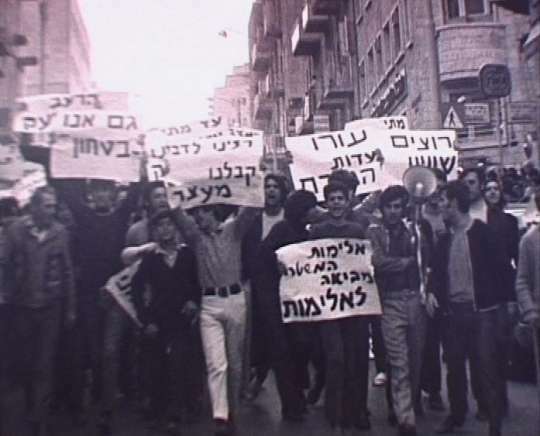 Towards the end of the 1970s, however, and especially with the landslide victory of the Likud party, headed by Mizrahi Jew Menachem Begin, over the Labour party in 1977, the consciousness of their political influence increased within the Mizrahi communities. In 1984 the Shas party was founded by Rabbi Ovadia Yosef. The party consciously self-identifies as a “Mizrahi revolution”, and propagates the idea that the secular Ashkenazi Zionist movement as a whole is responsible for the inferior social status of the Mizrahi communities. Although Ultra-Orthodox in its outlook, Shas managed to mobilise many Mizrahi voters from less religious backgrounds and by now constitutes Israel's fourth largest party in the Knesset, the Israeli parliament, and has been referred to as “the unchallenged kingmaker of Israeli politics” as it constituted the decisive factor in many coalition buildings. With time, Shas' politics moved further and further to the right and the party by now constitutes one of the most adamant adversaries to any settlement freeze in the West Bank. Today Mizrahi voters are generally seen as a strong force within the political right, a notion that, according to many critical voices, must be seen as a direct outcome of the Israeli policies towards the communities. 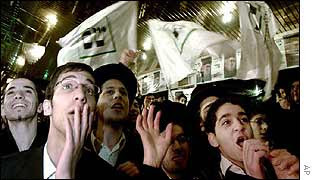 While the Ashkenazi establishment usually debased the communities for their cultural backgrounds, Mizrahim started to distinguish themselves from the “Arab enemy” by adopting nationalist views and symbols. What is often referred to as “Mizrahi self-hatred” was further mobilised by the Ashkenazi elite in their exploitation in the military forces, the only space where their knowledge and their Arabic skills is valued and eventually employed against the enemy. Although the social status of the Mizrahi community has slightly improved since the early days of the state, Ashkenzi arrogance towards the communities has not decreased and also parts of the Israeli "peace camp", supposedly a progressive force within Israel, commonly blames the Mizrahi communities for precluding peace agreements with the Palestinians. The case of the Mizrahim in Israel thus clearly shows how communities are imagined, or socially and culturally constructed. The Mizrahim, although obviously a multi-faceted community themselves, clearly complicate the representation of the Israeli-Palestinian conflict as a battleground for the West vs the East and thereby destablises the Israeli-Arab enmity on which Zionist discourse is largely based. 1 Ashkenazi Jews are said to have originated from medieval communities along the Rhine in Germany and later migrated largely eastwards, which is why today all Jews from Central and Eastern Europe are subsumed under the category. 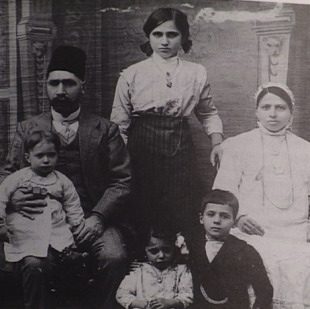 2 The term Mizrahi Jews is a relatively new one that emerged in the particular context of Jewish mass immigration to Palestine. Outside of Israel the term “Sephardi”, referring to all those communities that were expelled from Spain and Portugal in 1492, is more commonly used to also subsume those communities stemming from the Middle East. 3 The only exception is constituted by the Persian Jews, the majority of which only left their country after the Islamic Revolution in 1979. Until today Iran hosts the biggest Jewish community of the Middle East after Israel. Thank you very much for this helpful explanation!